Speak up while you can still be heard! Let me cut to the chase on my greatest concern. 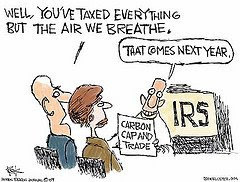 Imposing Kyoto Treaty style carbon emission standards on our nation will impact our economy in the worst way possible. It has been estimated that the average American family will eventually see between three to four thousand dollars annually sucked out of their personal disposable income in the form of higher gasoline prices (new taxes), higher electric and natural gas bills, and other possible increases from products impacted by these new government regulations. This is an especially bad idea to even consider while we are in the midst of an economic crisis, but Congress is hell bent on getting this through with the same "hurry-up" mindset they had with the various bail outs of the past few months. The problem is that we only have a few days to even let our reaction to this bill be known before it sails through the House and on to the Senate. Please let your congressman know this week about your concerns. Here in San Antonio the TEA Party group is planning a protest tomorrow, on Tuesday, May 19th at 11 a.m. at the office of Charley Gonzalez office at 727 E. Durango Blvd. in downtown San Antonio. If you plan to attend you can notify the organizers by sending an e-mail to nocapandtrade@wildblue.net They need an estimate so they can notify the police how many people they expect at that location. Charley Gonzalez is on the House Energy Committee. He needs to hear our voices. now. I have also sent an e-mail to my rep. Cero D. Rodriguez. You should do the same with yours. Time is of the essence. Please don't sit this one out. I just discovered my favorite x-worship leader. His name is Tim Hawkins and the link will take you to some of his delightful songs on Youtube. Here is the link. Well, you really can find out anything you want to know on Google. I asked "Who is the freecreditreport.com singer?" and hundreds of responses came in with videos. 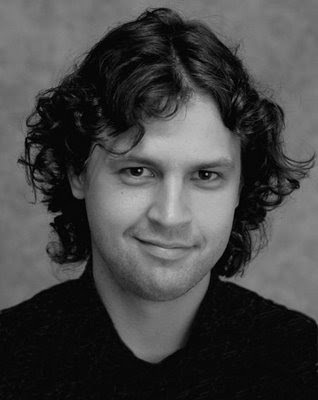 His name is Eric Violette, a French Canadian actor, singer, piano and guitar player. No need for a voice over here. He even has his own web site. http://www.ericviolette.com/ complete with photos, videos, resume, and a bio. Now I need to find out who the old white haired lady is who keeps popping up in all the commercials. Just a thought. 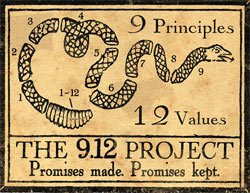 The 9-12 Project involves 9 principles and 12 values: It is a non political movement based on the unity shared by Americans on September 12th, 2001, the day after the attacks against the U.S. by Muslim Extremists. I heard about it on the Glen Beck show and logged into the Glen Beck site to hear more about it. So far 640,000 people have signed on as "9-12 ers" because they agree with the 9 principles and the 12 values. Read below and see if you agree with these principles and values. All of this makes sense to me. This was filmed while Lydia was visiting with us this spring. She loves to dance and sing.